Forever Blog— July has been an AMAZING month for FOREVER! I was sitting next to FOREVER Founder & CEO Glen Meakem yesterday at a Marketing Coordination Meeting. As he and the team discussed the business, one thing became abundantly clear to me: the weather isn't the only thing that's hot right now at FOREVER! July has been an incredible month for our community, our business, and our overall growth. Read on for a journey through everything great happening at FOREVER! We've had record sales for the month of July! 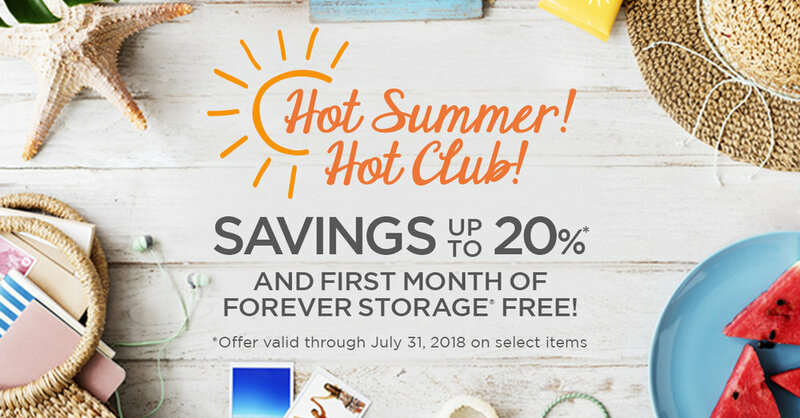 We started this month with a bang, featuring special discounts of up to 20% OFF FOREVER products & services and the first month of FOREVER Storage® free. 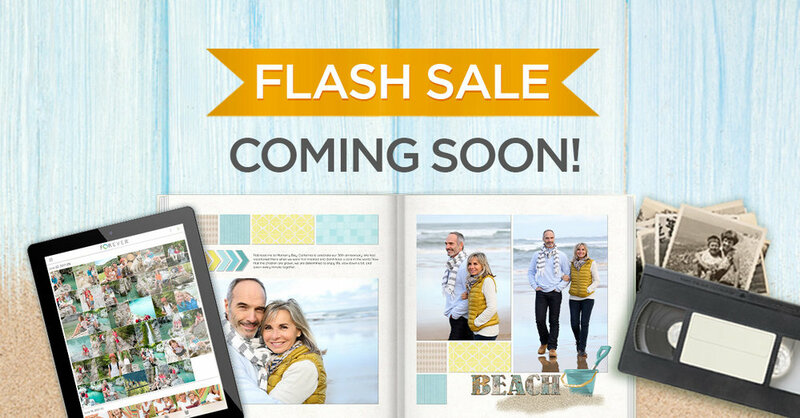 In the second week of July, we also announced two exciting Flash Sales on Storage single payments (30% OFF) and all FOREVER Photo Books (40% OFF). Even though the month isn't even close to over, we've already had record sales for July! On July 9, we released FOREVER Club®. Now, for the first time, you can truly become a part of the FOREVER Inner Circle! This savings plan allows you to enjoy exclusive member benefits (such as FREE FOREVER Storage!) while saving for the things you love. And everyone who signs up in the month of July will receive even more perks as a FOREVER Club Founding Member! As of today, there are already 797 FOREVER Club Members! There are already 797 FOREVER Club® Members! We now have 36 Print themes to choose from! 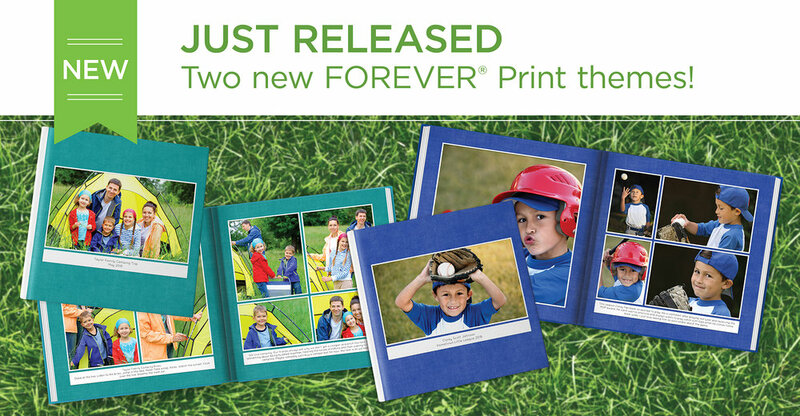 On July 11, we released two brand new FOREVER® Print themes. Both of these stunning themes are loaded with bright colors and are versatile enough for school books, birthdays, sports, family yearbooks, and more. Timeless Primary (featuring red, blue green, and yellow) and Timeless Jewel (blue, purple, green, and teal) each include 25 pages, a text box on each page, and one full-page text option! Next week, from August 2-5, we will be hosting our biggest and most exciting event of the year - FOREVER Live! The conference is an opportunity for Ambassadors, digital scrapbookers, and fans of FOREVER to get together for three days of training, entertainment, networking opportunities, and more. 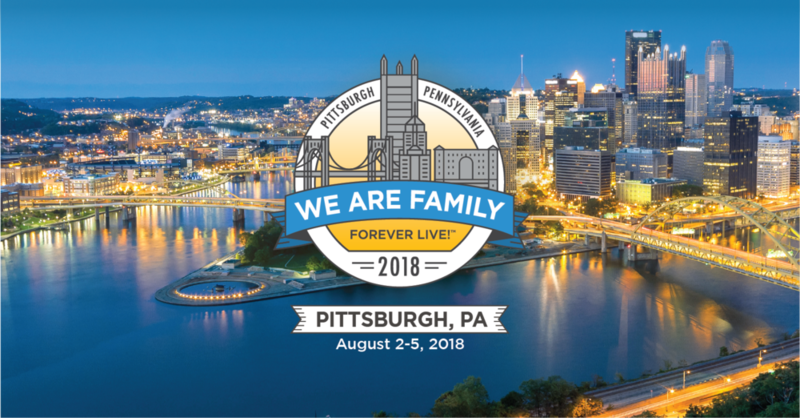 This year is more exciting than ever because the event will be in the FOREVER home city of Pittsburgh, Pennsylvania! And some very exciting product launches will be announced...let the good times roll! 317 fans of FOREVER are coming to FOREVER Live! next week - the largest group in FOREVER history! Stay tuned for MORE flash sales in the coming days! And that's not all! Keep your eyes peeled in the next few days for some very exciting FLASH SALES. We decided to add them to this month's promotions during our meeting yesterday because we love our customers and we love making you happy. Why not celebrate this month's successes with the best sales yet?! So stay tuned - these discounts may be coming sooner than you think! There you have it! Now is the best time in our history to be part of the FOREVER Family. Whether you're an Ambassador, a Storage Owner, a digital art enthusiast, or just someone who is passionate about the security of your family memories, we're glad you're here. As you continue to share FOREVER with your loved ones, the movement toward permanence will inevitably gain traction. You, your loved ones, and your precious memories deserve security, permanence, and privacy. You deserve FOREVER!